This attractive sofa set from the Winchester range features high back chairs with padded seat and back cushions for maximum comfort. There are 2 matching footstools which can be sued to aid relaxation or alternatively provide extra seating. A stylish rectangular glass topped table completes this versatile set. 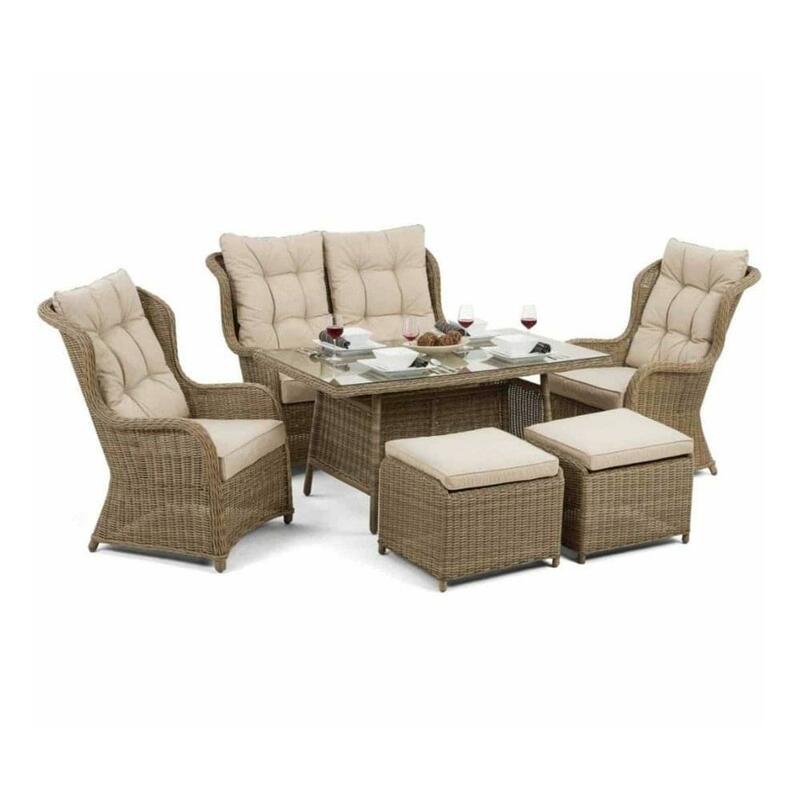 The dining set will seat up to 6 people and is easy to maintain and clean. The rounded synthetic rattan weave is weatherproof and can be left outside all year round. Simply store the cushions indoors during the winter months. Other matching products from this extensive range can be viewed on our site.